Do You Need Quotes for your Columbus Ohio Insurance? It seems like every where you turn you need insurance in Columbus Ohio. Columbus Insurance Market has been in the business of providing customers with affordable online insurance quotes since 2005, and we offer Ohio insurance quotes for all your Columbus insurance needs: LIFE, HOME, AUTO, BUSINESS, RENTERS, MOTORCYCLE, HEALTH insurance. Shop today and take care of all of your Columbus Ohio insurance needs in one place. We shop for you! We will take your insurance to the open market and make multiple companies compete for your business. The best thing is you will only have to deal with one agent who can help your shop multiple companies for your LIFE, HOME, AUTO, BUSINESS, RENTERS, MOTORCYCLE, HEALTH insurance. That competition gets you better rates and better policies. In addition, if we know you need more than one type of insurance we will get multiple discounts for every type of Columbus insurance you need. Ohio insurance doesn't have to be complicated, its simple you fill out your quote form and submit to to us through the website. All you have to do is complete a insurance quote form that asks you about your Columbus insurance needs. That information goes to directly to our Columbus independent Ohio insurance agency. Then we will email back directly to you with multiple affordable insurance quotes. You then choose which quote and insurance company works for you. Get the process started right now and get your Columbus Ohio insurance quotes. All that Columbus Insurance Market needs is basic information, and you can supply it by completing our quick and easy quote form. Our insurance agents will work up some quotes based on the details that you provide to us on your quote form. Then you will have the benefit of knowing that each quote is comparing the same coverage option. We call this apples to apples comparison insurance shopping. When you decide which insurance is the right one for you, you can contact the Columbus Insurance Market to bind your policy. Please complete your insurance quote form today. 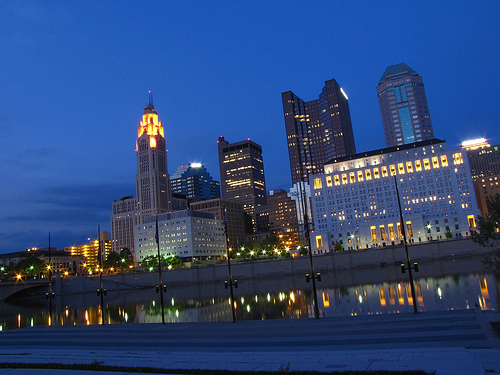 No one can handle your Columbus Ohio Insurance needs like the Columbus Insurance Market. We are one of the Fastest growing insurance companies in Columbus Ohio and that is not by accident. Insurance in Columbus Ohio should not be complicated and if you let the Columbus Insurance Market help you will enjoy the shopping experience. Call our Office office today at 614 560 7875.